When you’re facing a lockout or you need to update the security of your home or business, it can be hard to know who to trust. Locksmith scams are common in Del Mar, and falling victim to a scam can turn an inconvenient situation into a nightmare. At Noble Locksmith, our professional locksmiths are highly trained and experienced to provide fast, effective solutions with integrity and excellence. Our local locksmith service is dedicated to providing outstanding service and peace of mind for the homeowners, business owners, and drivers in our community. We are certified, licensed, and registered, so you know that you’re working with locksmiths who have undergone extensive training and understand the latest in security technology. We are a 24 hour mobile locksmith service, and we are equipped to handle nearly any type of emergency quickly and without damaging or compromising the integrity of your locks. At Noble Locksmith, we provide a full array of locksmith services for the homeowners, drivers, and business owners of Del Mar. We sell, install, service, and rekey top brands like Schlage, Kwikset, and Master Lock, and we are available around the clock to provide fast, on-the-spot help with emergency lockouts. Getting locked out of your home or vehicle isn’t fun; in fact, it can be very stressful and even scary. At Noble Locksmith, we understand how important it is that you’re able to get back inside quickly and safely. 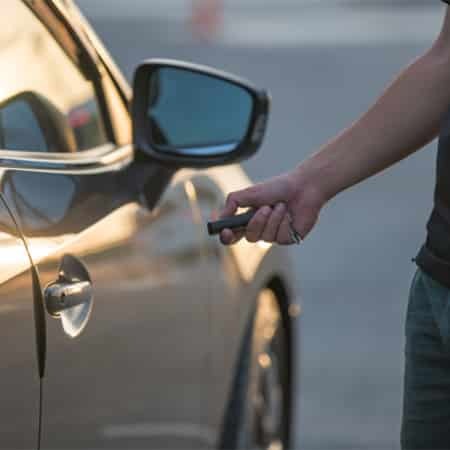 That’s why we’re a 24 hour mobile locksmith service that can meet you right where you are in the Del Mar area, whether it’s at your home, in the parking lot of your workplace, or anywhere else you’ve become stranded. We are available 24/7, so even if you’re locked out in the middle of the night, you won’t be stuck for long. Our friendly, professional locksmiths show up quickly, providing you with fast service and peace of mind. Noble Locksmith is here to help with your security needs, no matter how big or small the challenge. Call us today for fast help if you are locked out of your home or vehicle or to take advantage of our other services.